I thought it be interesting to document my rigging process from start to finish using a fairly challenging model. I’m not going to push this series of tutorials as an “ideal” way to rig such a machination, but it will show one approach. 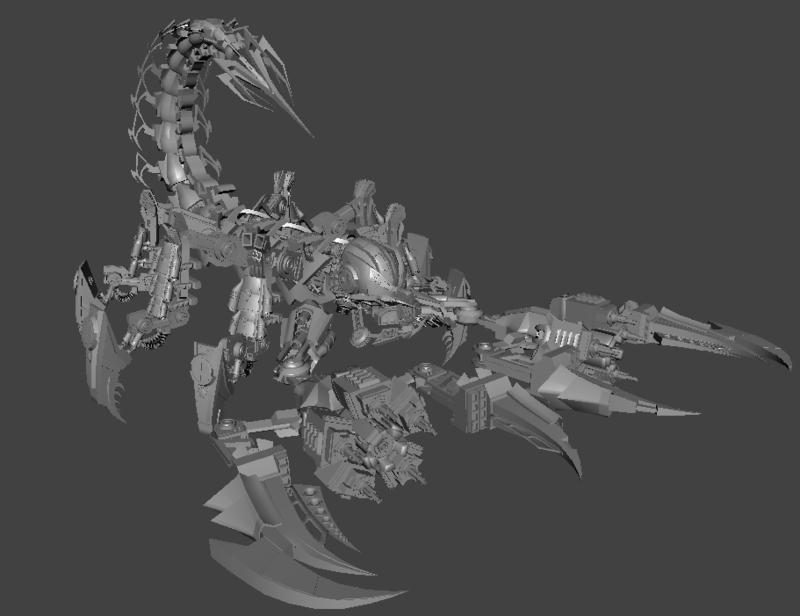 I’m going to rig a scorpion model I came across in the forums of CGTalk (original post here). The artist, Nicholas Silveira, modeled and rigged the creature and was nice enough to share the bare model to give anyone else the oppurtunity to rig his creation. Combining parts of the mesh was the first step and my first chance to get intimate with the inner workings of the model. After making a pass organizing the mesh, I reduced the 1200 peices down to a more manageable 83. 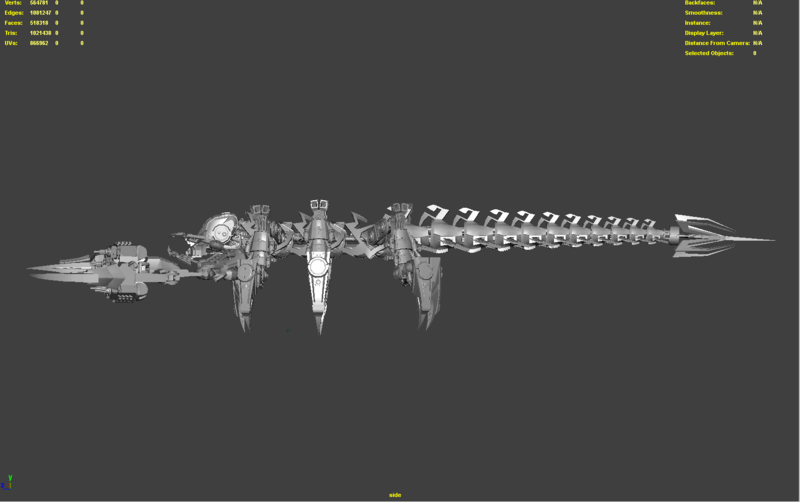 Next step was straightening the tail since it was modeled in a curve. I thought about remodeling it straight, but figured I could get a good result by straightening it with a temporary rig. This was done b creating a joint chain along the tail, binding it to the mesh, then straightening that joint chain; thus, straightening the tail itself. I baked in this deformation by deleting the skinCluster history, and now the tail is perfectly straight. After a couple simple steps, the model is primed for rigging. Tune in for the next part, where I’ll start to formulate approaches to rigging various parts of the creature. I’m also thinking of making a proxy version of the model to enhance viewport performance for the animator. This entry was posted in Main, portfolio, tips and tutorials and tagged maya, rigging, scorpion, tutorial. Bookmark the permalink.